In this session, the document ‘A Framework for Film Education‘ a project funded by Creative Europe, was introduced by Mark Reid, Head of Education at the BFI. Mark explained that the rationale for the Framework emerged from Screening Literacy, another collaboration with European partners which found that there were many different approaches to film education and they could be usefully described. The Screening Literacy group felt that it would be useful to provide a model or set of principles for film education which new practitioners might find useful. 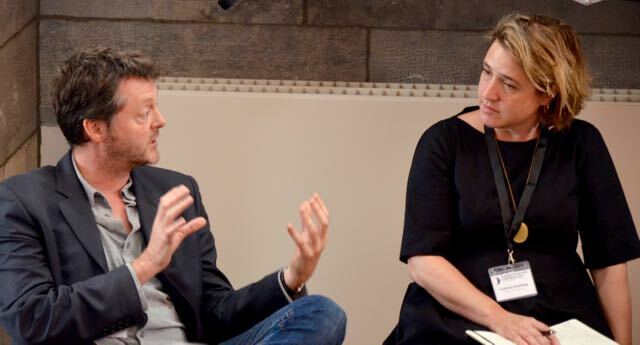 So funding was successfully sought from Creative Europe to enable a Europe-wide group of practitioners to develop a document which might provide a clearer sense of film education for policy makers and new entrants to the film education sector. Ideas which underpinned this programme of work were the familiar three-Cs approach: critical creative cultural. But also a mindfulness about what is specific about film – and what it makes possible? 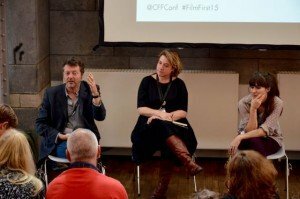 Two two-day seminars took place with the aim to produce a document which focused on the question: “What are the outcomes of film education?”. Outcomes are central to many national curricula or education policy documents so this also influenced the group’s thinking. 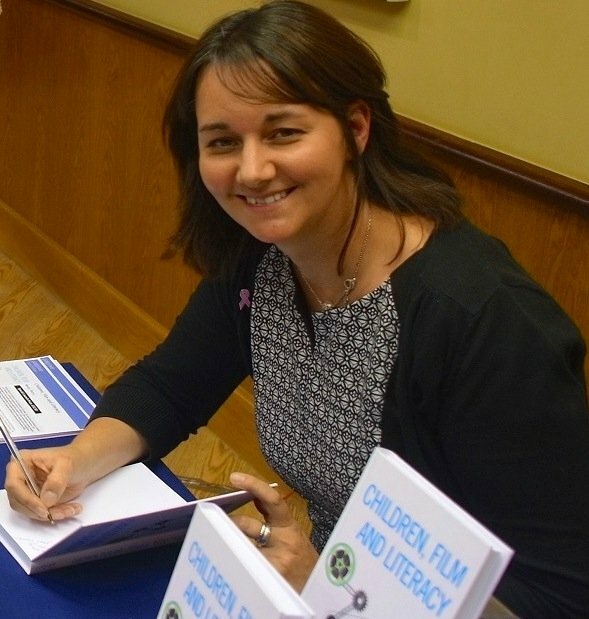 The document is available online, but it is orientated to an idea of film for children as an entitlement with a strong emphasis on engagement with film as pleasurable. Again Mark was keen to stress the importance of thinking about what is specific to film? Mark then presented the key elements of the Framework. Marta Nieto Postigo is a member of the Content Team, Drac Màgic. She presented her experience of using tablets with children of 3-13. Marta felt her work was compatible with the Framework. Marta provided some history of the organisation and their work on media literacy and the representation of women in media. She described the work of Drac Magic as providing a catalogue of workshops. Marta pointed out the need to work flexibly with schools who don’t have the money to go to the cinema and therefore, despite their interest, can’t attend. Marta’s approach is to take activity into the schools, offering a range of adaptable workshops. Marta presented a project involving the use of iPads. Interestingly, they found teachers had access to iPads (though not bus fares to cinemas!) but were not making full use of them. The project aimed to address this by giving children film-making opportunities which encouraged the children to experiment, use intuition, and use audio visual languages. The children were empowered by taking on industry roles and tried to exert an influence on their environment – even the pigeons. It was important to work within the financial / time constraints of the school and to show flexibility. Providing rules and structures, or creative constraints, can be very helpful. The short film ‘A la Cucina’ was shown and it helped delegates further understand the value of the work to children. The children described the tactile or sensory nature of the experience. They clearly had thought carefully about shot composition. There was a powerful image of one small girl ‘directing’ some taller boys in their football film. This demonstrates the importance of making and showing ‘the making of’ film – and that film is a great medium for sharing the process and enables practitioners to reflect on their learning. Progression – what happens next? And what do we do for different ages / different level of experiences? Marta stated that she had a very similar approach to different age groups but with different materials. Was there consensus in producing the Framework? Mark replied that there were differences – particularly around aesthetics. There was a question about the future plans in particular in relation to inclusion of LGBT children? Mark responded by referring to the importance of celebrating diversity, difference, multiple approaches, commonalities; arguing they don’t want to make all projects follow the same approach – but might have common things that they are addressing. Another question asked about the way Marta’s links with curriculum. Marta responded by saying that she does work with teacher to demonstrate curriculum links or broader learning. There was a call for cross European collaboration and funding for projects, enabling that collaboration. Marta stressed the difficulties of this and the importance of the local, although delegates referred to examples of this sort of work with enthusiasm. There was a discussion of the role of curriculum and the dominant instrumental education ethos which impacts on film education. Another issue raised was the problem with making a distinction between film literacy and media literacy. Mark stressed again his recommendation that what is important is what is intrinsic to film. He suggested we express the educational aims through the cultural aims. He suggested the need to demonstrate that film can do this….rather than simply claim it. Marta was asked what framework she was using and how she evaluated or measured impact? Marta suggested that her framework comes from sets of experiences, long-term relationships – the legacy of previous work. Finally there was agreement about the need to gain support and funding for our work strategically in Europe. This entry was posted in Session Reports. Bookmark the permalink.